"... this book is very well put together from the start to the end and gives easy to understand illustrations and examples. It not only highlights the challenges and road blocks while planning and executing your project work, but gives you the well proven and best utilized tools and tricks showing how to implement them in your projects. 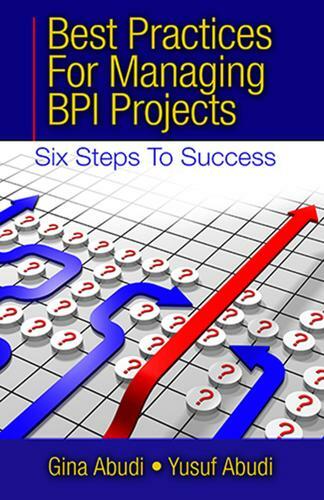 Best Practices for Managing BPI Projects is a great reference book that should be on every project manager's bookshelf. It is equally useful for all levels of a project team: a senior executive, a seasoned and experienced project manager, or someone just starting a career in the project management field."